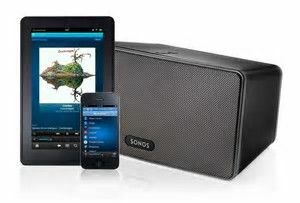 Imagine coming home, picking up your phone or tablet and instantly having your favourite tunes playing in any room in your home. Cooking in the kitchen with your favourite radio station playing. All of this can be achieved with the one system. Each room is completely independent of all other rooms and can be controlled from anywhere. You can have a party mode having the same music playing in any room. Any combination is available simply through your phone. We can show you different speaker options from flush in the ceiling or wall to bookshelf models that you can hide away in your cabinetry. Or you can simply use the speakers that come with the system On site wireless music system demonstrations are available in your home If you are building a new home or putting on an extension we can come in before “rough in” (prewiring) stage and design the cabling to suit what you are hoping to achieve so when it comes to cabling time in the building project the cables can be installed ready for fit off the same as an electrician would. As with any work being carried out in your home early preparation is the key to making sure all design work and cabling is in place, you don't want to be thinking about this when it’s time to put the wall sheets on, this leads to long delays in the project which in turn will lead to cost increases from your existing tradesmen as well as us finding it far more time consuming getting cables around your home. 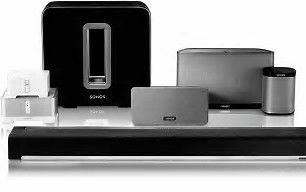 We are available to install home theatres, TV antennas and wall mount TVs in Sydney’s northern beaches and surrounds. For more information, you can call us on 0404 026 430 or email mark@autiointegration.com.au.